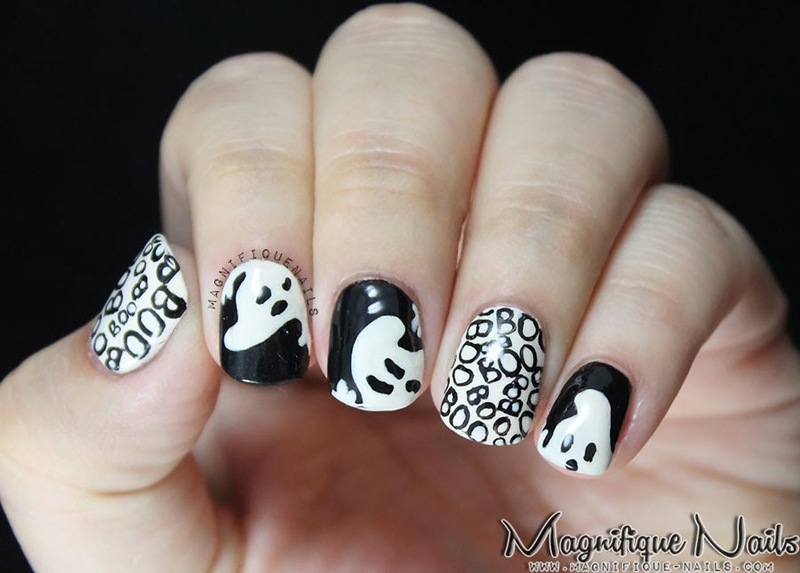 Magically Polished |Nail Art Blog|: Is that a Ghost?! As always, apply the base coat. It's very essential, because it helps the nails with yellowing and protects the nail bed. I then applied two coats of Revlon Black Magic on three fingers and PolisHaus Sandies Glow. Once the polish dries, on the base of PolisHaus Sandies Glow, I wrote various little "Boos" on the nails. 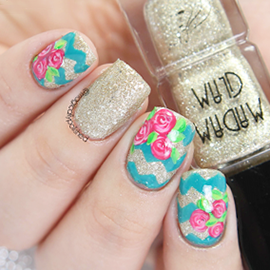 I used a nail art brush, but you can also use a nail art pen to write them down. For the ghost, I wanted to do something different (which I seem to always am for). As I was browsing online, to get some ideas. I stumbled upon the, Queen of DIY, Martha Stweart. 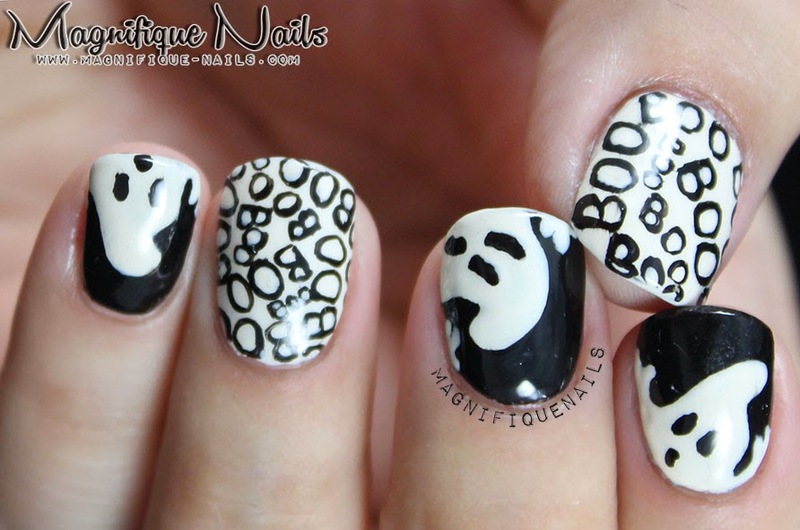 I had soo many nail art ideas up to this point, I decided to do the ghost she had for decoration. 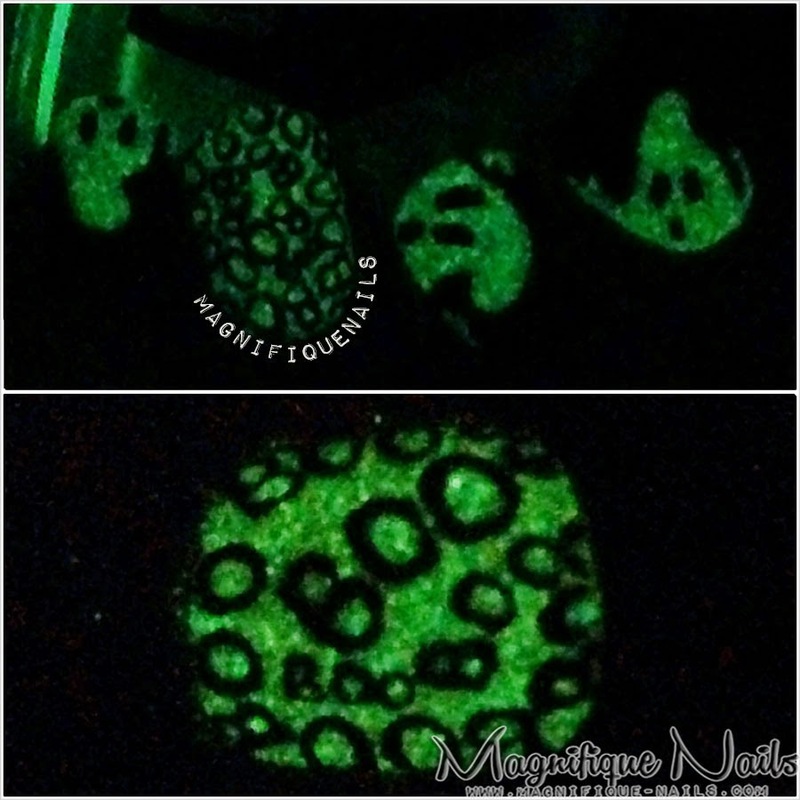 I outlined the ghost, with a nail art brush, using PolisHaus Sandies Glow. I then sealed the design with Duri- Super Fast Dry Through Top Coat. To make the nails glow, put the nails under the light. The longer under the light the more it glows in the dark. I'm having a feeling this year, most of my Halloween mani's, are going to be glowing! Obsessed!